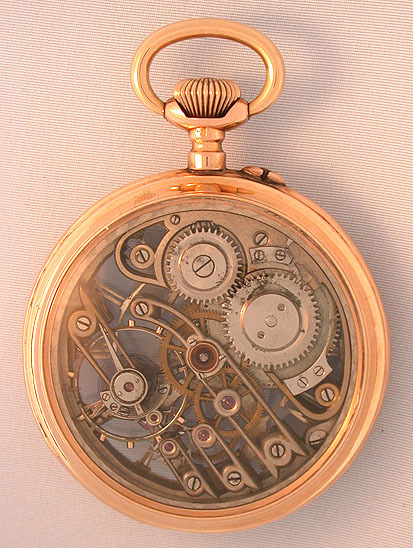 Swiss skeletonized 14K gold antique pocket watch circa 1890. Skeletonized silver dial with blued steel hands. 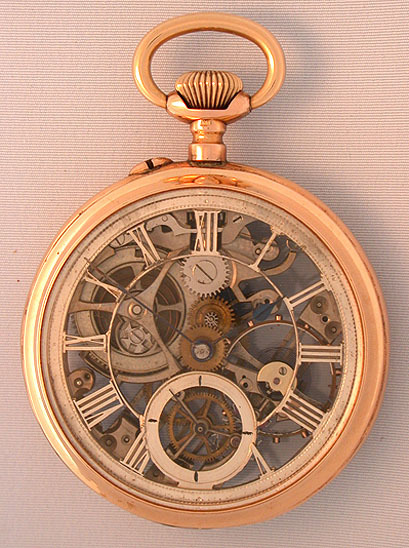 The 16 jewel nickel movement beautifully skeletonized with the lower balance hole and cap jewel settings cut away to expose the action of the roller jewel and pallet fork. Some oxidation on the winding wheels. Handsome.